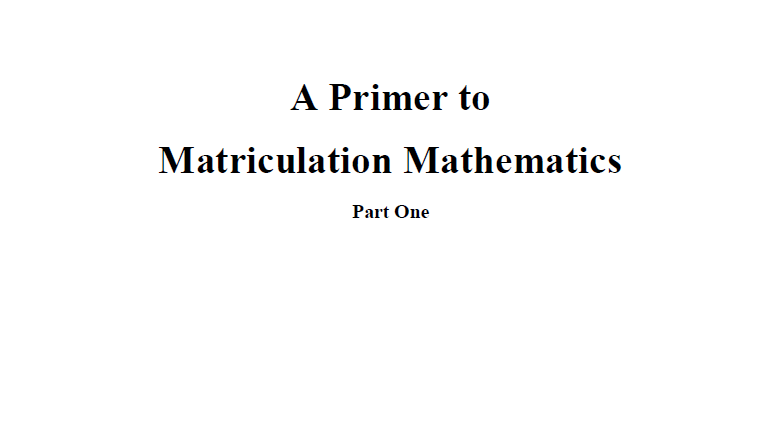 Part one of three introducing important concepts in engineering mathematics studied in engineering and science courses offered at the pre-university level. It is a suitable introductory guide for students taking various university foundation programs or diploma programs, or as a refresher for engineering undergraduates who require mathematics for their main core units. Topics presented in part one includes arithmetic, algebra, functions, trigonometry, differential calculus, differential approximation, Taylor's series and optimization - extremum values.